Battery Recycling| Home | All Auto Battery 2007 Ltd. 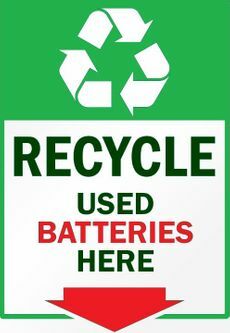 Rebuilt Batteries and Battery Recycling in Calgary with All Auto Battery 2007 Ltd.
All Auto Battery 2007 Ltd.: Calgary's convenient source for battery recycling. We’re approved by the Government of Alberta and Certified with Alberta Environment & Parks for receiving, handling, storage, and shipment of scrap lead-acid batteries. All Auto Battery can have you on your way in 10 minutes! All Auto Battery offers you the largest selection of reconditioned, rebuilt, blemished and brand new batteries in Calgary. We also carry a full line of alternators, starters, cables and other accessories. All Auto Battery 2007 Ltd. has been in the business since 1988. We have the experience to offer you the best professional advice and service at competitive prices. We specialize in the installation of reasonably priced batteries for a wide variety of domestic and import cars, trucks, RVs and motorcycles, etc. We even carry batteries for heavy equipment, forklifts, farm vehicles and wheelchairs. No appointments are necessary! Drive in and we will check your charging system and let you know what needs to be done. Can’t drive in? If your vehicle is stalled, we are easily accessible via Calgary Transit. Simply take Route 302 – BRT SE to the stop at 17A Street SE. Also, we can provide service at your convenient place. One of our skilled technicians can deliver and install a battery anywhere in Calgary. All Auto Battery 2007 Ltd.